Welcome to All in One. Our business is safety and peace of mind. To that end, we supply security gates and security doors of only the highest quality. We always serve to perfection on any security gate, security door, and any other product we supply. Indeed, we proudly back our products, such as our trellis gates, with honest marketing. What’s more, our superb sales department ensures that you receive the best treatment. We also handle installations, handled by our professional and punctual teams. Our after-sales service is also here for you, serving as a point of pride for our business. Thus, the question of where to buy security gates, security doors, and more is easily answered with us. We take great pleasure in providing you with the ultimate all-in-one security solution. Need a reliable security gate? We have the solution. All-in-One has trellis gates for all types of doors and windows. This includes wood, steel, and aluminium. You may also need a security door. We’ve got you covered here, as well. 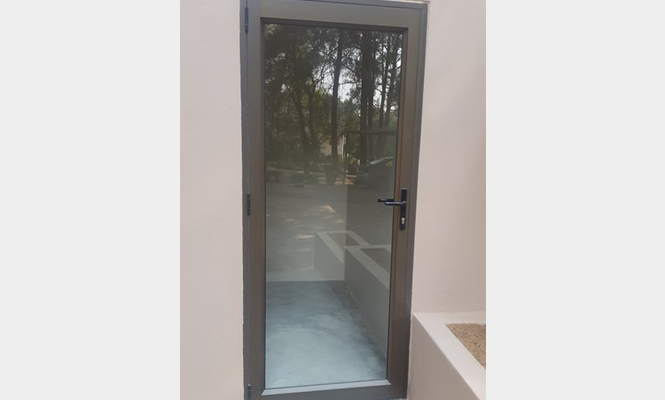 We supply and install aluminium doors, windows, and patio enclosures as per your needs. Conversions are also handled. There’s nothing quite has reassuring as a big, solid barrier separating you from crime. All-inOne supplies solid swing gates for all makes of doors. All-in-One is all about high quality, custom tailored products like our trellis gates. 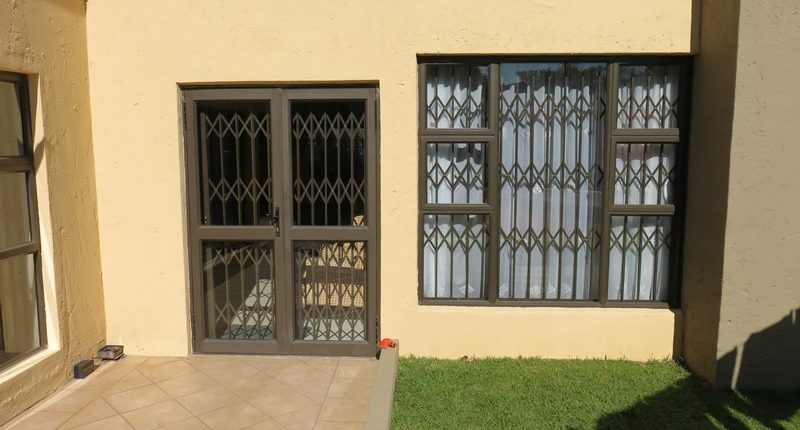 We install aluminium security gates, security doors, and other products to suit you. What’s more, they are specifically made to suit the application. This, while beautifying your home or business. We offer unsurpassed service delivery thanks to our trained and professional team. They guarantee peace of mind throughout your project, and can work on big and small projects. Thanks to this, we make good products great. Are you in Johannesburg? If so, we’ll bring a security gate straight to your doorstep! Our central location allows us quick access all around the city. We can service almost anywhere in Gauteng, though. So, trust in us to deliver and install your new security door quickly and on time. Our dedication to our industry reaches all facets of our business. We are able to provide the highest quality security gates and other products. This is thanks to constant research and development that we undertake. Additionally, All in One products hold a 5 year warranty from date of sale. All our products, such as our aluminium security doors, have trusted certification. AAAMSA (Association for Architectural Aluminium Manufacturers of South Africa) is one certification. And, we are also SAGGA (South African Glass Association) approved. We also supply a glazing certificate on demand on completion of your project. We sell peace of mind. 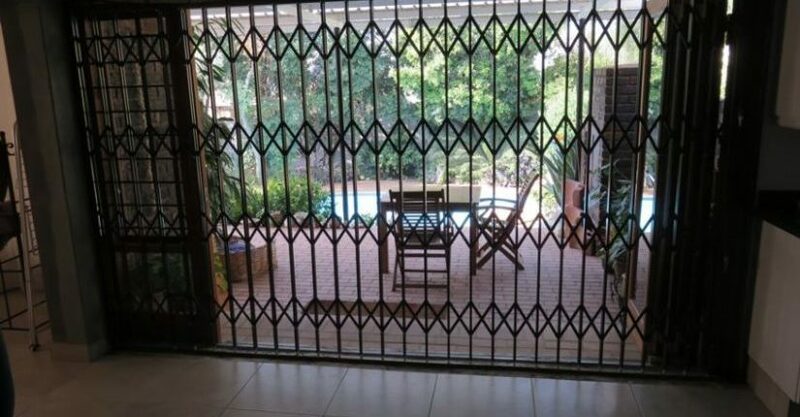 A trellis security gate is a common sight all around South Africa. But, All in One stands head and shoulders above the competition when it comes to trellis gates. We supply and install expandable security gates of high quality. Each are available with slam lock and deadlock capabilities, with a 5 year warranty. Please contact us for a free quotation. In the market for a security door that won’t let you down? We at All-in-One supply exactly that, and they won’t disappoint. 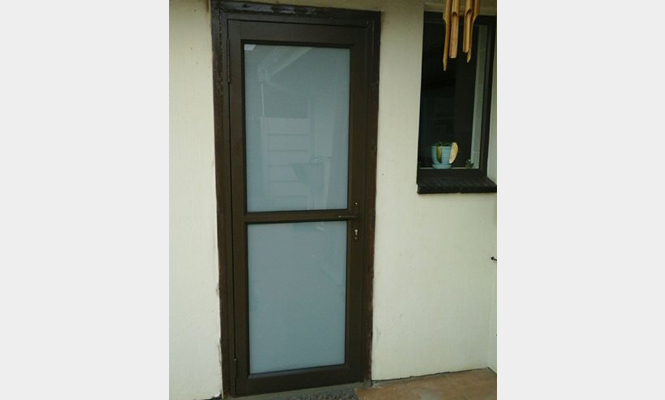 Our security doors also come available with strong laminated glass for extra security. Quality and dependability are our signature. To find out more, contact us for a free quotation.